”Hello Stephanie. 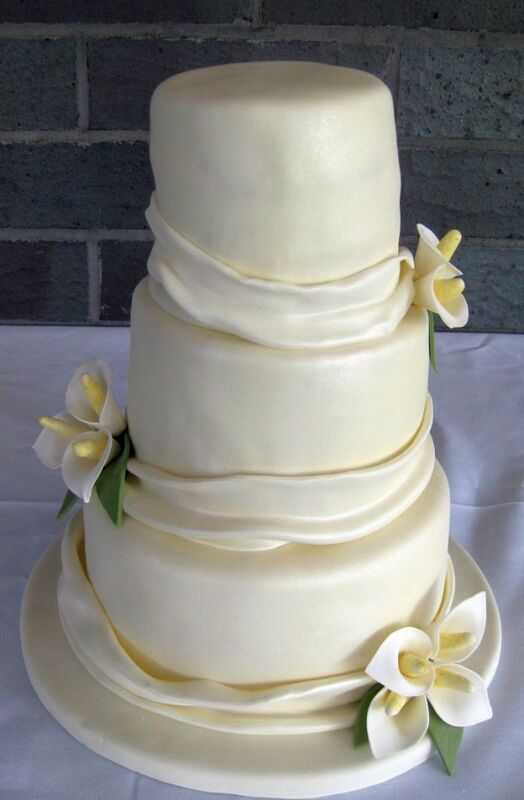 I wanted to thank you so much for our calla lily wedding cake. It was absolutely delicious and beautiful, just how I pictured it. Everyone at our wedding loved it! 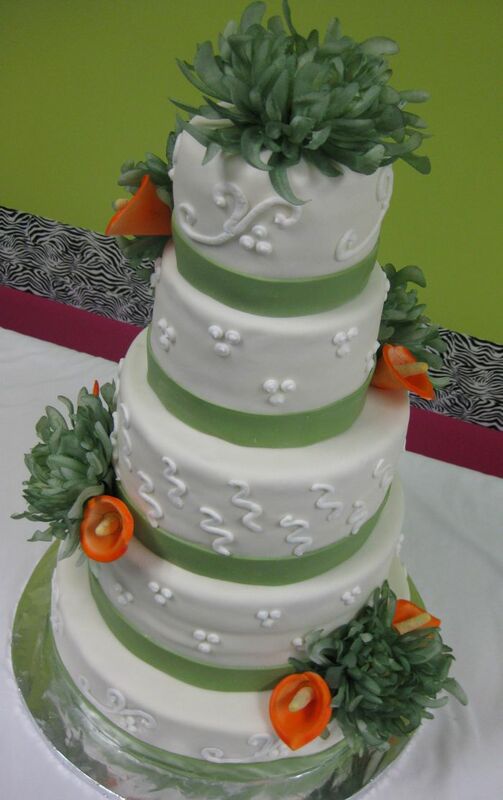 We were able to save the top tier and freeze it and the rest was gone! Thanks again.” Cristina C – Raleigh, NC. The calla lily flowers are native to southern Africa and thrive in a tropical environment. 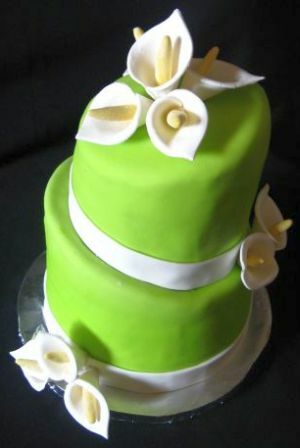 Of course, these calla lily cakes flowers are made from sugar and native to Piece A Cake! Use accent colors on the flowers or ribbon to match your wedding colors and have a reception centerpiece everyone will remember. 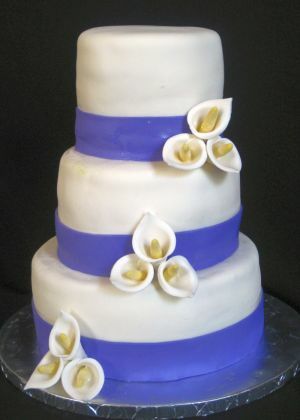 Wedding cakes with calla lilies are so beautiful. Imagine enjoying seeing and eating the sugar flowers! During the last several years I have made roses, daisies, and many other flowers, but in my opinion, the calla lily is the prettiest one. 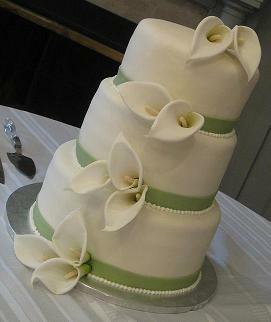 Ask about your calla lily wedding cake here.